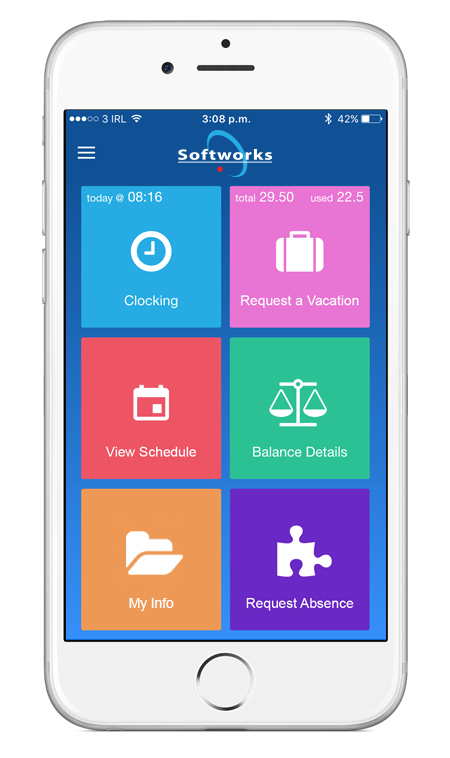 Softworks will be unveiling their slick new app at this year’s HRPA Annual Conference & Trade Show taking place in Toronto, Canada this week. For twenty five years Softworks has been assisting companies to organize the working day in a way that makes them more productive and profitable by adding value to their operations. Softworks award winning solutions include; Time & Attendance, Labour Scheduling, Absence Management and Project Tracking. Clock In or Out (with GPS location). If you are attending the HRPA Conference and Trade Show this year, make sure you swing by booth 141 and you can check out our new app and meet Softworks CEO, Andrew Ferguson and Canadian Business Manager Lita Letto.